Zagreb testers community held Meetup #3. For now we are at our schedule to have those gatherings every two months and we are very happy about that fact. 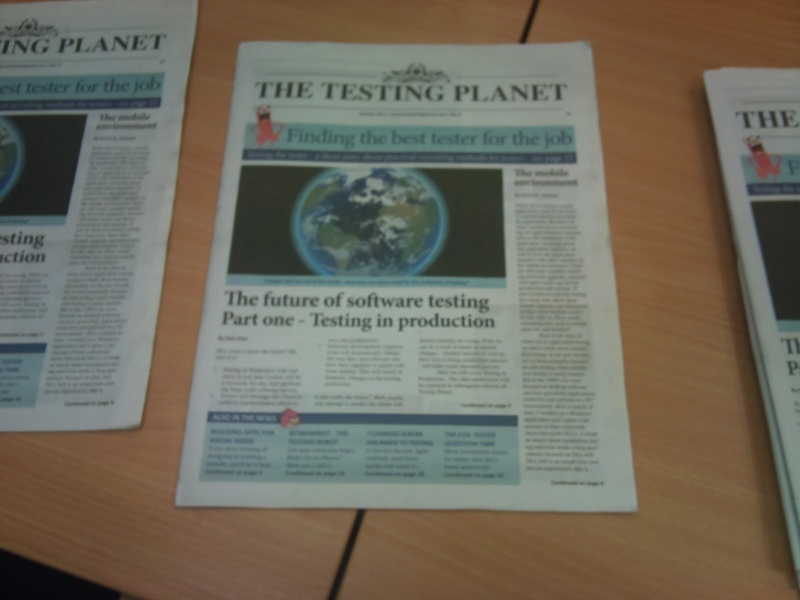 First, we distributed free copies of Testing Planet that we received from Software Testing Club. We are very grateful for that gesture! First testing problem (was it accidental or intentionally?) 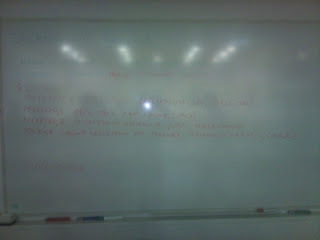 was the room projector problem. Projector was at the ceiling of our room and we did not have its remote. On projected image we could not see Windows XP taskbar. We agreed that we have to discover the proper laptop resolution for the projector. First we blindly tried several laptop resolutions with no success. Than one tester suggested that we should use resolution with ratio similar to ratio of projector canvas. At that was solution of our problem! Topic of meeting was performance testing. Our fellow testers from Asseco gave presentation about testing in their organisation, and they finished it with live presentation of performance test of their product using Jmeter. They tailored testing process from Microsoft Solution Framework. Before that, there was no dedicated testing team in their organisation. Developers were responsible for testing. They are continously working on testing process, but their experience for now is that they now have much less problems with their products in live production. Mission of performance test was to discover reference system configuration for their application. Basic input is that response for the application most critical service must be under 300ms. They changed their application from java process and in house code to J2EE application. Tomcat is application server, Oracle is database and Linux is target os. Client interface are web services. Other testers commented that this architecture is very similar to architecture of products in their organisations. First observation of performance test was that product on new J2EE architecture had slower response times than the stand alone java process application. Their experience with Tomcat is that commercial solutions like IBM Websphere are much better. 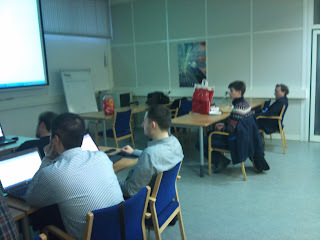 They created various scenarios in Jmeter. Important note is that they cooperated with developers in order to create Java client code for Jmeter scenarios! Testers in their organisation do not program. 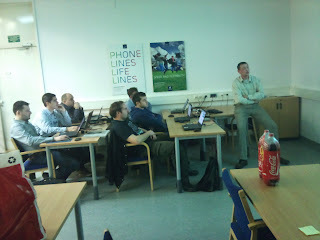 In the end I conclude that Zagreb STC MeetUp #3 was very productive and interesting gathering. If you would like to join for the next meeting, please subscribe to our Google group Zagreb STC, drop an introduction post about yourself, or propose something of your interest for the next meeting. I forgot to write about monitoring tools that were used by testers during the load test. 1. jconsole was used to monitor jvm of tomcat application server (graph of heap memory consumption should be in saw shape during the test execution). 2. Oracle Enterprise Management Console was used for oracle database monitoring (sql transaction duration).